Its that time of year again! Holy Family School is holding its semi-annual Box Tops collection drive. Please consider sending in your box tops to the school before February 21st to help make our collection drive a success! Click on the title above for all the details! Re-registration is now open at Holy Family School for the 2018-2019 school year for current families. Please re-register by February 23rd. For your convenience, re-registration and the registration payment can both be completed online. For more information click on the title above. We invite you to visit our Preschool through 8th Grade on Wednesday, January 31 from 9 am to 12 pm. Come and meet our teachers, tour our facilities, and talk with current parents and students about the great things happening here at our National Blue Ribbon School. 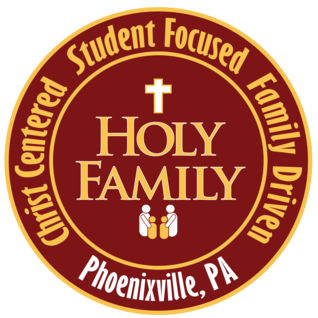 To RSVP click on the title or contact us at 610-933-7562 or via email at advancement@myholyfamilyschool.org. We look forward to seeing you! Click on the title above to view. The February Lunch Menu is now available. Please return the menu and payment to HFS Office no later than Friday, January 19th. Don&apos;t forget to make sure you fill in your student&apos;s name and room number at the top of the form! If you have any questions please contact: dnemceff@myholyfamilyschool.org Click on the title above to view the menu. Click on the link for all the details! Click on the title for all the information!